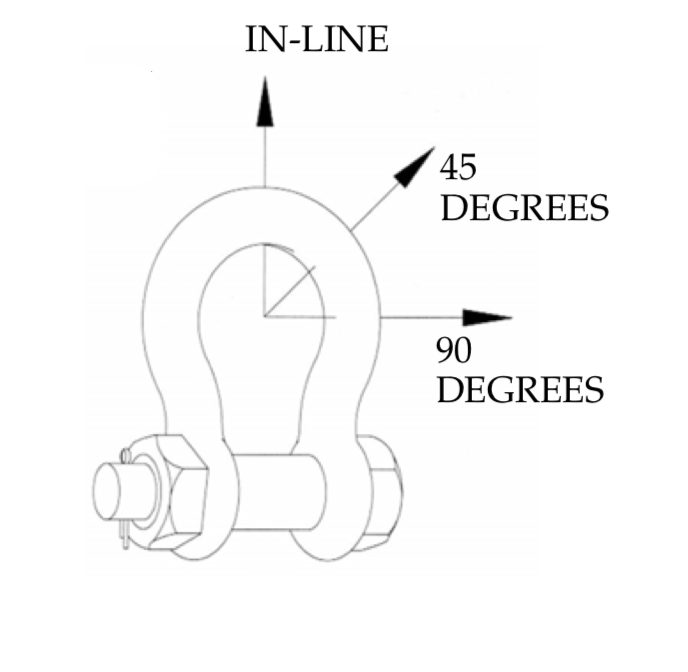 Crosby G209OC 4.75t Screw Pin Anchor Shackle 3/4" meets the performance requirements of Federal Specification RR-C-271F Type IVA, Grade A, Class 3, except for those provisions required of the contractor. Meets or exceeds all requirements of ASME B30.26. 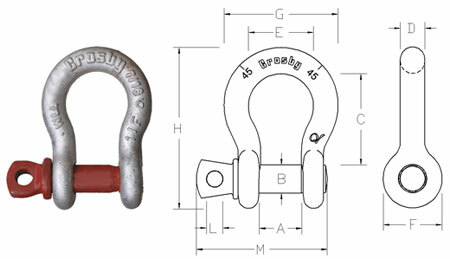 Crosby forged shackles can be used in general service with good rigging practice down to temperatures of -40 °F (-40 °C). Complies with or exceed the requirements of the European Machinery Directive 2006/42/EC. Marked with SWL 4,75 metric tons and individual serial number. Design Safety Factor 6:1 (4:1 is the requirement of the Machinery Directive). The Maximum allowed proof load is 9,0 metric tons.